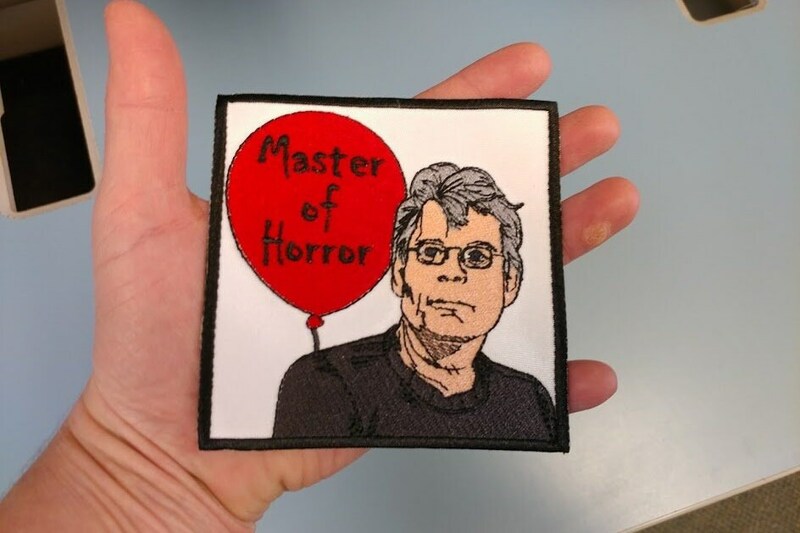 This patch would look good on any Horror Book Fan's apparel or a bookbag. 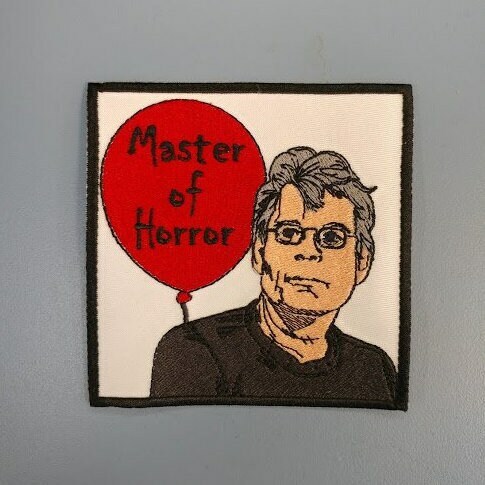 This patch features the great American author, Stephen King with a red balloon in the background with the words, "Master of Horror, " written on it. 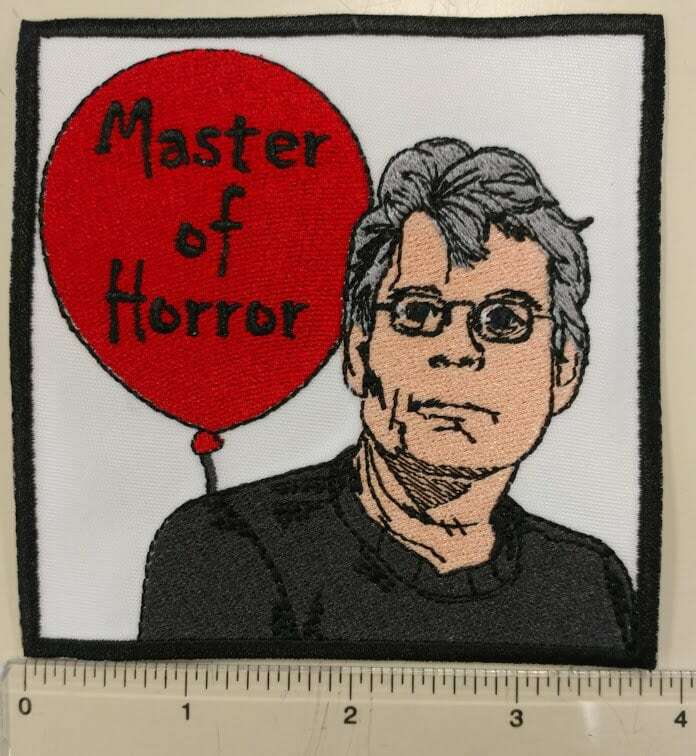 This patch is sewn on a white patch background with red, gray, charcoal, and black thread. 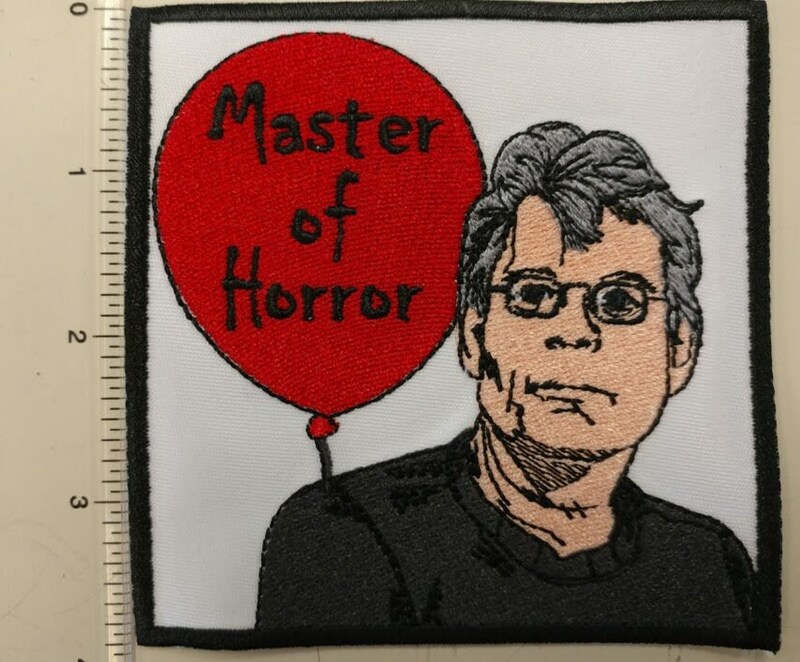 It has an iron on adhesive to assist with application. It measures approximately 3.75"W X 3.75"H.